Ordinarily, September is a little early to start writing year-end wrap-up essays. But 2018 has not been ordinary, and no matter what happens over the coming three months, it seems unfathomable that anything would change the dominant narrative that this year has been a new golden age for abusive and neglectful employers. Let's recap. The year in managerial malfeasance started with a bang when a trio of French media outlets worked together to detail a racist, homophobic, sexist studio culture at Quantic Dream. But where some studios might take that as a moment to pause and reflect on what they might have done wrong and how they could be better, Quantic Dream offered a statement that was suspiciously similar to a Naughty Dog denial of workplace misdeeds, then sued the reporters involved. 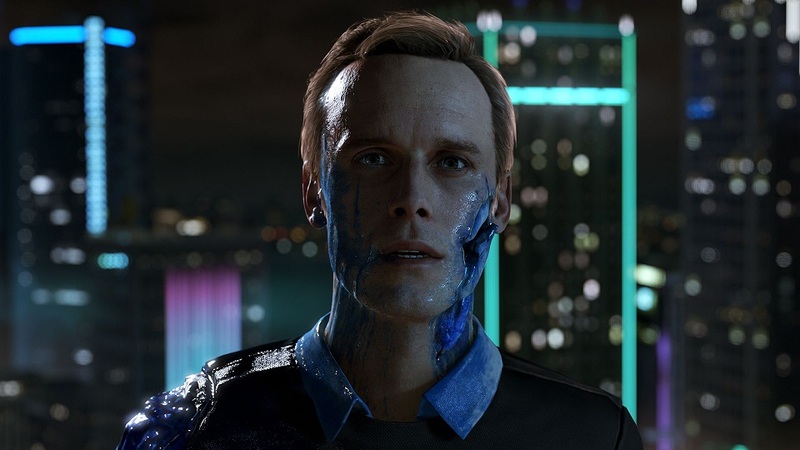 Can Quantic Dream become humane? Another French studio came under fire in February as almost half the staff at Eugen Systems went on strike, criticizing their employer for dodging minimum wage laws, uncompensated overtime, and a refusal to recognize its contractual obligations to employees. The strike ended in April without concessions from Eugen, but more than a dozen employees continued with labor court claims against the studio. And while we had no inkling yet how appropriate it would be for 2018, February also saw the International Game Developers Association name Jen MacLean its new executive director. Because who better to run the largest advocacy group for developers in the industry then the former CEO of 38 Studios, which notably hung its developers out to dry en route during a spectacular collapse that has taken six years (and counting) to clean up? Not all the year's terrible employers were terrible because of toxic workplace stories; some were terrible just because they were unwilling to support their employees in the face of an angry mob. That was soon followed by the March implosion of 2064: Read Only Memories studio MidBoss, as musician liquidcrystal posted a lengthy Twitter thread accusing CEO Matt Conn of sexually harassing employees, saying the studio and Conn "severely mistreat their workers and have a streak of taking advantage of young queer people in tough situations in order to underpay them." While she admitted all of the accusations were based on second-hand information, they were soon publicly corroborated by a number of former employees. Conn stepped down as CEO and while the studio originally promised he would be "fully offboarded," he still owned about 40% of the studio as of July. Not all the year's terrible employers were terrible because of toxic workplace stories; some were terrible just because they were unwilling to support their employees in the face of an angry mob. ArenaNet fired two of its writers in July after one of them responded to a fan's simplistic, unsolicited, and arguably sexist advice on Twitter in a less-than-diplomatic fashion. The other writer lost his job for stepping into the void where the company should have been and supporting his co-worker against a wave of online vitriol. If we were to dole out Worst Places to Work Awards like we do the Best Places to Work, Riot Games would have to be considered a front-runner for the 2018 prize. In August, Kotaku published a report based on conversations with 28 then-current and former Riot employees, painting a damning picture of a truly toxic work culture beginning with the highest executives in the company and permeating through the ranks. It was a fall from grace for a studio that was winning Best Places to Work Awards from Glassdoor and Fortune just a few years ago. Then again, perhaps it should have been expected from a growing studio so focused on creating a homogeneous studio culture that it offered new employees who didn't fit that culture up to $25,000 to walk away. As if that weren't bad enough, Riot compounded its problems with a poorly thought out attempt at repairing its image. As a way of showing its commitment to inclusion and diversity, the company announced a pair of Riot Games PAX West events aimed at aspiring developers that would only be open to women and non-binary individuals. This created an entirely predictable backlash, and a pair of Riot Games developers defended the decision to exclude men from the panels on Twitter, one of them calling complainers "manbabies" in the process. 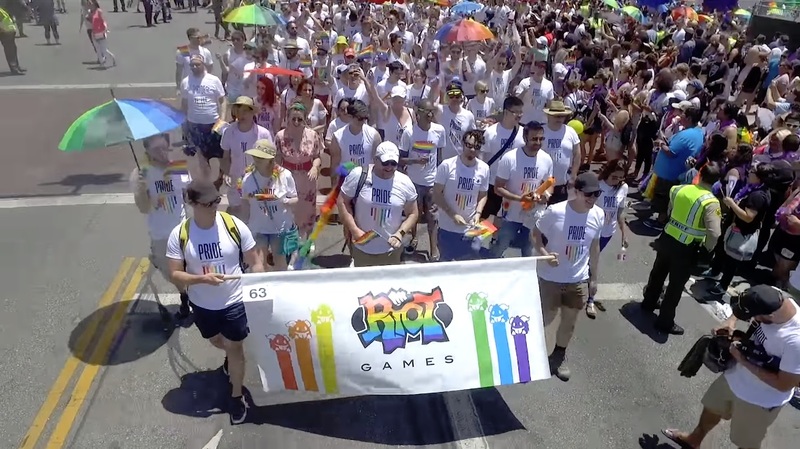 Given the chance to show its conviction to diversity and inclusion by supporting the developers at the possible expense of players who were clearly did not share those values, Riot instead sided with a mob incensed that the company would show anyone other than men the slightest preferential treatment. A bunch of people who will presumably be fired if they are in any way rude to someone who doesn't believe they should exist. Rubbing salt in the wound, Riot commented on the firings by saying "We will always encourage Rioters to share their perspectives, and we fully support efforts by Rioters to further our Diversity & Inclusion initiatives. We are committed to making real, positive change in Riot's culture and internal advocates are a crucial part of making that happen." Because nothing encourages people to share their perspectives and be advocates for culture change like firing people who did exactly that at the behest of people fundamentally opposed to diversity or inclusion. And now we get to Telltale Games, a classic studio collapse story that's still playing out. In March, The Verge reported on The Walking Dead studio's broken culture, one marked by "constant overwork, toxic management, and creative stagnation," with co-founder Kevin Bruner in particular portrayed as a micromanaging bully. While Bruner had left the company last year, Telltale's management woes persisted, culminating last week with the studio laying off hundreds of developers and all but shutting down. Of course, studios shut down all the time. We've lost more than 1,000 jobs to studio closures this year alone, and it's not like they were all terrible places to work. But how those studios behave on the way out the door is absolutely reflective of management, and the stories coming out of Telltale's closure do not reflect well. Newly out-of-work Telltale developers said they received no severance or continued health care coverage. At least one of them was a new hire who had moved cross country for the job just a week ago. And while hundreds of laid off developers are wondering how they'll get by in one of the most expensive areas to live in the US, the walking corpse of Telltale is talking to "multiple potential partners" who could help finish the final season of the studio's flagship franchise, The Walking Dead. Given the industry's long and storied history of inhumane working practices, I have no doubt that this list of terrible employers in 2018 is incomplete, and previous years have likely been just as rife with neglect, exploitation, abuse, and malice. The difference is that in 2018, we are talking about it. One common thread throughout all the sad stories above is that in each case, developers spoke out, in many cases publicly. In previous years, this didn't really happen. Developers might advise friends and colleagues about particularly good or bad places to work, but they very rarely aired a company's dirty laundry, and almost never with a name attached. Clearly, attitudes across the games industry are changing. Developers aren't as scared to talk about the problems they see. The #MeToo movement has emboldened abuse victims to speak out and name their abusers. Crunch is seen less as a fact of life than a symptom of mismanagement. There is a greater understanding today that cultural problems do not magically get better on their own, that they must first be evidenced and agreed upon before they can be fixed. Perhaps most of all, there is a greater understanding that employers cannot be trusted to take proper care of us. They ask for our passion, our dedication, and our loyalty. Some might even return it, but they are not required to, and the nature of business often means they have incentives not to. It's no coincidence that the year we see so many stories of employer abuse and neglect happens to be the same year Game Workers Unite formed. The pro-union group started in March around GDC, and now boasts more than 20 international chapters. I fully expect 2019 to see another strong field of candidates for Worst Places to Work, and 2020, and every year onward until one of two things happen. Either the industry proactively fixes the structural problems that permit these abuses to happen, or enough of these stories pile up that developers are pushed to unionize, getting the leverage they need to impose positive changes. As much as the latter feels like an improbable outcome sometimes, the former seems downright impossible. Developers need support, and if they can't get it from their employers, they'll get it from each other. Except the ones breaking the law, the rest are nowhere near as black or white as advertised. This is a very reductionist way to present these stories. Almost like the article ran out of real examples of bad employers.